Morale and job satisfaction ticked up significantly at the Veterans Affairs Department this year, according to new figures released from an annual, department-wide survey. While overall job satisfaction increased just 3 percentage points from 2017, according to VA’s All Employee Survey, which incorporates the questions from the annual, governmentwide Federal Employee Viewpoint Survey, satisfaction with the department went up by twice that to 60 percent. More than seven in 10 VA employees trust their supervisor, up 7 percentage points over 2017. A majority of employees now believe that senior leaders maintain honesty and integrity, up 8 percentage points. President Trump earlier this year fired then-Secretary David Shulkin amid alleged ethical violations. One of the biggest jumps came in employees’ belief that differences in performance were being recognized in a meaningful way, climbing 18 points to 50 percent. Last year, Trump signed into law a measure to hasten the disciplinary process for misbehaving employees. 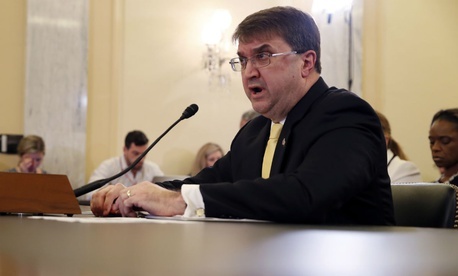 VA has ranked as the second worst place to work in the federal government out of the 18 agencies with at least 15,000 employees for the last two years, according to rankings compiled by the nonprofit Partnership for Public Service based on FEVS results. More than 60 percent of the workforce, or nearly 236,000 of VA’s 375,000 employees, responded to the 2018 survey. In a statement, the department said the improved morale has helped boost retention, noting its 9 percent turnover rate far outperforms the health care industry at large. In an August release, VA noted it has 45,000 job vacancies. The Office of Personnel Management is currently compiling the governmentwide FEVS results and is expected to release them in the coming weeks.